Catherine Eileen Kircher, 95, of Pleasant Hill, Missouri, was born, April 29, 1923, in Preston, England, the daughter of James and Sarah (Nickson) Draycott. She departed this life, Friday, March 29, 2019, at her home surrounded with love and family after a long illness. Eileen was the youngest of 8 siblings, Connie, Agnes, Maggie, Tom, Jim, Harry and Fred. At the height of WWII in August 1944, she married an American Airforce Sergeant and farmer, Raymond Kircher from Pleasant Hill. At the end of the war in Europe, her husband Raymond was reassigned to the Pacific theater leaving Eileen and their first son Charles, born June, 1945, in England. In the spring of 1946, Eileen and Charles began the long journey to join their husband and father in Missouri. The trip began in Liverpool traveling to New York City on the ocean liner Queen Mary and was completed by train to Pleasant Hill. The boarding of the Queen Mary was arduous and the first and second sailings were cancelled at the last minute. The third scheduled departure was successful but she often said that a third delay would have been intolerable and would have meant cancellation of the trip entirely. Eileen was always very thankful for the people along the way that provided aid during the trek, especially the women that provided assistance along the train passage. There were several striking memories of her first few months in Pleasant Hill, the kindness of Raymond’s parents Goldie and Godfrey and the overwhelming abundance of food. Soon, two additional sons joined her family, Timothy in March, 1947 and Michael in August, 1950. Eileen gradually became accustomed to life on the farm coming to love it but she was never able to tolerate the heat and humidity. Her first trip back to England occurred in 1955 when she was accompanied by her youngest Mike. Several more trips “home” were taken over the years and there were several visits by her sisters Agnes and Connie and nephew Jack taken to Pleasant Hill. Eileen found great joy in the Twenty-Friends study club, an honorary member of the former Beta Sigma Phi-Eta Omicron Sorority in Pleasant Hill, and was a very active member in the Town and Country Art League of Pleasant Hill. Involved in arts and crafts her entire life, she became an avid collector of British and American antiques and her home came to be filled with such items. She delighted in traveling to art conventions with her friend and colleague Pat Clark. She was preceded in death by both parents who died when she was a teenager; by all of her siblings; and by her husband Raymond in 1989. Eileen was the loving mother of three sons, Chuck (and Andrea) Kircher of Doylestown, Pennsylvania, Tim (and Debra Jo) Kircher of Carmi, Illinois, and Mike (and Beverly) Kircher of Pleasant Hill. 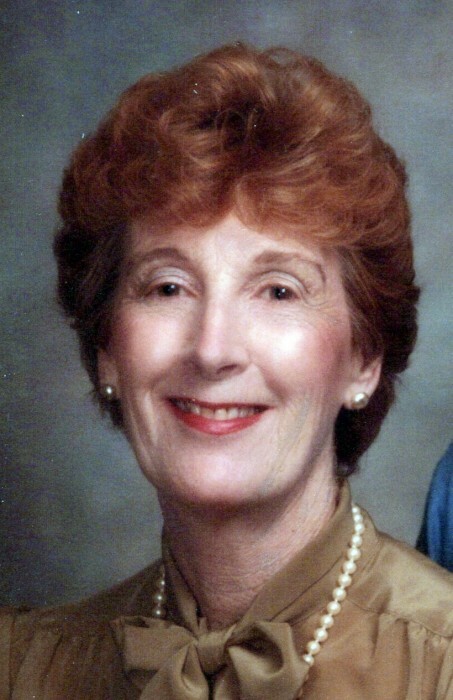 She was a caring and supportive grandmother to 9 grandchildren, Jonathon (and Angela) Kircher of Flagstaff, Arizona, Sarah (and Kip) Dent of Cave Creek, Arizona; Jamie (and Rhonda) Kircher of Beaver Dam, Kentucky, Greg Kircher of Pineville, Louisiana, Patrick (and Jeanne) Kircher of Rogers, New Mexico, Rachael (and Cliff) Randolph of Pleasant Hill, Scott (and Paige) Bird of Manchester, Tennessee, Brandi (and George) Taylor of Louisville, Kentucky, and Patrick (and Sandy) Yates of Louisville, Kentucky; and to numerous great grandchildren; many nephews and nieces in England; other relatives and friends. Eileen’s family wishes to extend many thanks to Crossroads Hospice and to Senior Helpers Home Health Care who provided wonderful care and companionship for Eileen in her home over the past several years. Visitation was held Tuesday, April 2, 2019, at the funeral home. Funeral services were held Wednesday, April 3, 2019, at the funeral home. Reverend D. Kent Deubner officiated. Interment was in the Pleasant Hill Cemetery. Memorial contributions are suggested to the Town and Country Art League and may be sent in care of the funeral home.